A distinct blend of global reach, intellectual depth, and human touch provides the knowledge and experience business professionals need to thrive across cultures and around the world. Students and faculty come from over 40 countries on six continents. Get to know them in our World Ready Video. Choose from our five graduate programs, our 1-year Accelerated MA, our 5-year BA/MA, as well as our undergraduate business programs, exploring concentrations within each program such as asset management, business economics, corporate finance, data analytics, marketing, risk management and real estate. 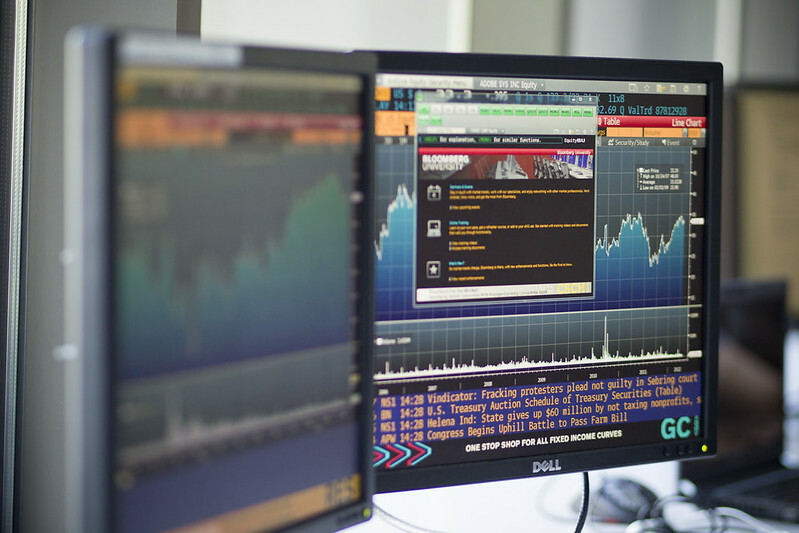 Our Bloomberg Lab is one of the largest in Greater Boston, providing a wealth of real-time data at students’ fingertips. Students come from around the globe to learn in one of Brandeis IBS’ career-focused programs. They prepare for the real world in a place that looks just like it, and leave ready to contribute and succeed across cultures, countries, and industries. Brandeis IBS boasts a faculty of renowned scholars, seasoned practitioners, and inspiring teachers who bring unmatched expertise to the classroom and to research in global finance, international banking, microcredit lending, business and the environment, and other related fields. The close-knit, culturally diverse community at Brandeis IBS is engaging and unpretentious. It’s an ideal place to develop relationships, make connections and build a global professional network. Students participate in innovative activities that apply lessons from the classroom to real-world situations. Learn more about the 2017 3 Day Startup. View photos from recent events, including the 5th Annual NABE Crisis Game and our annual Global Gala. Customized career plans and a network of leading employers enable students to graduate ready to succeed in the competitive global job market. Peter Wein '14, MA '15 combines his passion for economics and data analytics at his job at Mather Economics. "I spent a great deal of time working with Career Strategies to refine my resume, LinkedIn profile and interviewing skills, which proved immensely helpful." Emily Rumanek, MA '07, MBA '09, works in pharmaceutical market research at ViiV Healthcare. "Titles don't matter," she says. "What you're doing and how much you're learning from it does." Brandeis IBS and its distinguished alumni community are proud to organize a variety of alumni events in the U.S. and abroad. If you are interested in attending an event, please click on the corresponding link in the calendar below for more information. If you have any questions or would like to host an event in your home or office, contact the Alumni Relations team.